Hello, my little devils lovelies! 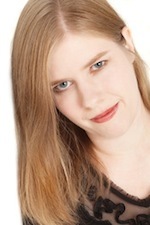 Today I'm honored to have Helen Keeble, author of Fang Girl, on the blog as part of the blog tour for her latest book No Angel, hosted by Xpresso Book Tours! 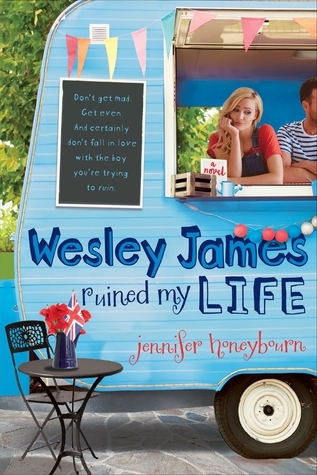 I have all the info on the book and where you can find Helen, as well as a fun interview and a giveaway! Be sure to check it out! In the form of a tweet, how would you describe No Angel? Boy thinks life at an all-girls school will be heavenly, but it's hell on earth. And he's the angel sent to fix things. Help! Fang Girl focused on vampires, while No Angel takes on demons and angels. Which do you prefer to write about, and what was it like switching from fangs to wings? My favourite book is always the one I've just written, so at the moment angels have the advantage! But in both books, I had a lot of fun going back to original sources to find weird traits that don't tend to show up in modern paranormal romances. In Fang Girl, my vampires are extreme obsessive-compulsives, based on a bit of European folklore about being able to get away from vampires by distracting them with poppy seeds to count (no, really). 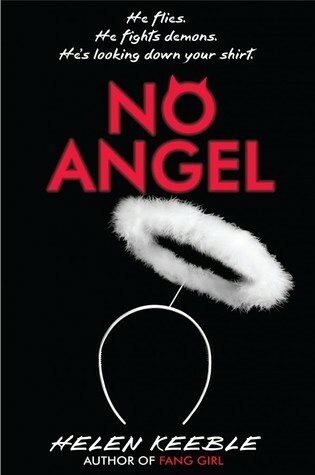 You'll have to read No Angel to find out what extremely inconvenient angelic traits start to afflict the main character! According to the synopsis, the MC, Rafael Angelos, ends up at what appears to be an all-girls school. Is this hinting at some fun comedy and possible romance? Would you rather spend the day with a demon or an angel? Having spent a lot of time reading old medieval manuscripts for descriptions of angels, I can safely say that meeting either would cause me to run for my life in the other direction screaming "OH DEAR GOD, THE EYES, THE EYEEEEEES!" At least demons have a vested interest in appearing human and vaguely attractive. And there's at least one demon in No Angel who I'd love to hang out with! What are five fun facts about No Angel? - In order to keep track of all the characters classes, I made timetables for them in Google Calendar… and then forgot to delete the calendars after I'd finished the book. I was greatly puzzled when Google started bombarding me with reminders to get to my history class! - My favourite character in the book is the Headmistress, who gets to say all the things teachers WISH they could say to their students. - I'm pretty certain it's the only paranormal romance that will teach you higher-dimensional geometry. (Wait! Come back! There are no equations, I promise!) Chapter 29 contains a deliberate mistake in this area - I will send a prize to the first person who can tell me what it is! I'm currently writing a YA dystopian comedy. No, really. The working title is Escaping Utopia, and it's about a boy called Adam who, like all 16 year olds in this far-future society, receives his government-appointed Soulmate - an android perfectly designed to fulfil his every emotional and physical need. Unfortunately, rather than being his perfect partner, she tries to kill him on sight. Hijinks ensue! Using the letters of ANGEL, how would you describe yourself? … unless you meant as an anagram, in which case, er, ANGLE? AN LEG? I give up. Without a doubt, Good Omens by Terry Pratchett and Neil Gaiman. The Demon's Lexicon by Sarah Rees Brennan. For reasons that are a complete and utter spoiler, so all I can say is: Go read it.